This cloth is a PROFESSIONAL Standard Microfibre Cloth priced for the everyday cleaner. 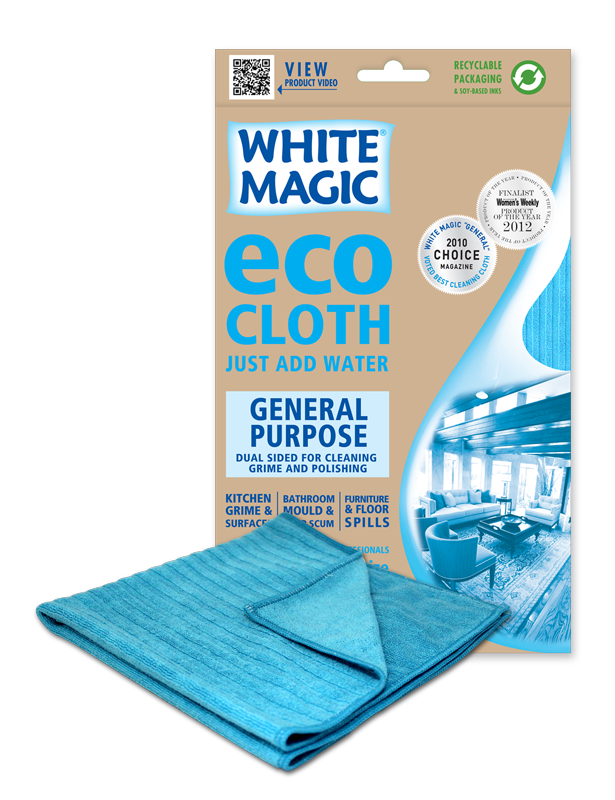 Voted by Choice Australia as the BEST GENERAL PURPOSE MICROFIBRE CLOTH IN AUSTRALIA. The benefits of White Magic General Purpose Microfibre Cloth are: double sided dual cleaning layers, machine washable up to 500 times. Professional 40 x 40cm Size. Super Reinforced Stitching. Ultra Absorbent. It is 77% larger than other cloths.